Mark and Carl started out by building a few small fences for neighbors and friends while Carl pursued a journeyman electrician license and Mark studied architectural engineering at the University of Wyoming in Laramie, Wyoming. In January 2002, Mark and Carl decided to make their dreams of owning their own business a reality. They began to advertise, and soon the calls were coming in. Initially, Mark worked full-time for the company, while Carl worked part time and kept his job as an electrician. Carl joined the business on a full-time basis in the spring of 2003. Alan, who worked for the company from the beginning, later moved to Montana, where he started his own business. He recently returned to Powell and merged his Montana-based company with his brothers Wyoming based company. SWI’s diversity has helped the company to thrive and in 2014 moved into our new facility at 988 Road 8, in Powell Wyoming. The company employs a staff of 15 to 30 employees, and it continues to grow through numerous contracts with mineral companies, state, and federal entities plus their loyal base of customers in Wyoming, Montana, North Dakota and beyond. Mark and Alan are proud of their reputation for quality installations and excellent customer service. The company strives to be the leader in the industry with ongoing training and strong professional alliances with contractors and suppliers. SWi is Wyoming's Largest full service fence and automatic gate company with multiple locations to better serve you. 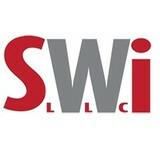 SWi, LLC has an unrivaled reputation for quality service. 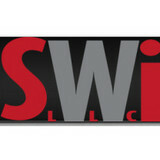 SWi, LLC is more than a Fence company. SWi, LLC is able cater to all your commercial or residential Fence installation, and Automatic Gate Operator operations requirements. Great Plains Fence Company is family owned providing over 35 years of experience in the Fence industry. Our goal is to provide excellent customer service before, during and long after your project is complete. We want our customers to be satisfied. Go to our Testimonials page to see our customers have to say. We install Commercial, Industrial, Residential, Equestrian and Agricultural fence. We provide all types of fence styles and we can design unique visions either yours or ours. We serve but not limited to the Billings area, all of Yellowstone, Stillwater and Carbon counties. We also serve parts of Wyoming. Please browse our web site to see what fencing products and services we have to meet your specific fencing needs. Our Types of Fence page will tell you about the many different items available. Your Molt, MT fence installation and repair professional will work with you to create your ideal fence. Fence installation or replacement. If you are in the market for a brand new fence, a contractor’s services will include walking you through various fence styles and materials, determining a suitable height, ensuring that all fence designs and plans are compliant with Montana building codes, and that the fencing meets both your stylistic and security needs as the homeowner. Fences and gates must complement the grade of your property as well as the type of soil you have, so the contractor should always plan around these considerations. Additionally, if you don’t know exactly where your property lines are, he or she can commission a survey for you. Find a fence contractor in Molt, MT on Houzz. 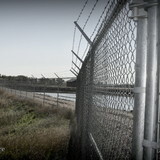 Narrow your search in the Professionals section of the website to Molt, MT fence contractors. You can also look through Molt, MT photos to find examples of fencing and gates that you like, then contact the professional who worked on them.